Christian Fiction | Vikings, Books, etc. Now that I finally have grades in, I can start reviewing books again. Whoops, too late for delivery by Christmas, isn’t it? Well, I think I’ll churn out a few brief recommendations anyway, on the off-hand chance you might need something to read for the new year. This post I will be covering stuff by my friends. As I noted in my review of Kathy Tyers’ Firebird series, I have a number of friends involved in the Evangelical fiction market, so if you have no interest in Christian science fiction and fantasy, I won’t be offended if you skip this post. I do have my more critical perspectives on the Christian-fiction niche that I’d like to explore more one day, but not today. While I only met her briefly a couple of times, I will mention Kathy Tyers again here. Her Firebird series is enjoyable young adult sci-fi–not as intriguing as her Nebula-nominated Shivering World, but a good romp through the stars following some sympathetic characters. The influence from Star Wars is palpable (she has been hired to write for the Expanded Universe a few times), but to my mind the series is also reminiscent of Lois MacMaster Bujold’s Miles Vorkosigan series. Lots of “military sci-fi” stuff going on, but the series is not really “about” that as much as it is about the characters. The series has been rewritten twice now, with the latest incarnation of the trilogy available as one volume with annotations by the author (with lots of interesting comments from Kathy for both fans as well as aspiring writers). 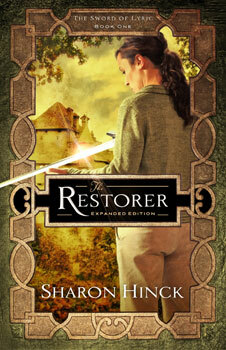 Kathy has started adding novels about the children of the original protagonists, another similarity to Star Wars (with the more recent novels about the children of Luke and Leia), as well as to Lois Macmaster Bujold’s series (which shifts to the son of the original two protagonists after two books). Personally, I think LMB’s series improved dramatically after she shifted to the second generation (Miles), so maybe the best is yet to come with Kathy’s series. 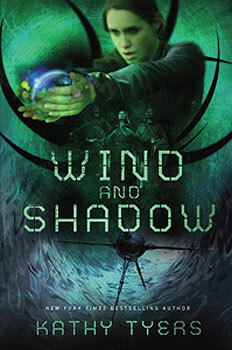 The first installment of the new books is Wind and Shadow, from Marcher Lord Press (the new press which is responsible for the rereleases of John Olson’s Oxygen and Sharon Hinck’s Restorer books, now that I think about it). I’ve been meaning to read this book and review it for months now (even got an advance electronic copy)–alas, the semester has been too busy, and I’ve had a few other “reading responsibilities” as well. Hopefully I will get to it over winter break. John Olson has been sort of a big brother to me for a long time now. I’ve been in a writers group with him for… over a decade, I think. Well, our group hasn’t met for a couple years now, but hey, good memories (and I still get to see him every now and then). John’s first published novel Oxygen was co-written with his friend Randy Ingermanson and came out a decade ago. 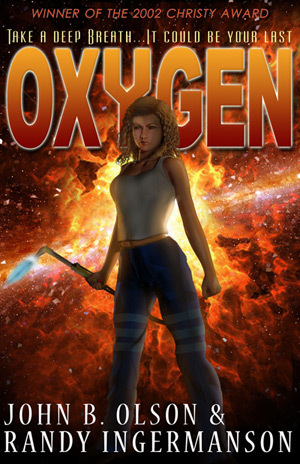 Marcher Lord Press, that champion of Christian speculative fiction, has rereleased Oxygen as an e-book, and I’m told it sold quite well in the first few days of its rerelease. The basic idea is near-future sci-fi: Mission to Mars, disaster strikes, can the crew survive, etc. Unapologetically inspired by Apollo 13 (which was still a relatively recent movie at the time). Despite the sci-fi premise, it is written as a thriller, which would account for the discrepancy in reviews from sci-fi fans versus non-sci-fi fans, as well as the success in the Christian market (didn’t sell millions, but did win an award), where thrillers and prairie romances are the primary genres. I’m not a fan of thrillers, I confess. I like weird, meditative, rambling, world-building stories that play with language and ideas (stuff that there just isn’t much room for in the market–but some of my favorite books have been in this category), while John has developed a niche for himself in the Christian market with science thrillers (and more recently supernatural thrillers). Still, when I first got this book (in the middle of finals as an undergrad, unfortunately), I could do nothing else for two days until I finished it. Gripping, to say the least. Also, both John and Randy have PhDs in the relevant fields (biochem for John, computational physics for Randy), which gave Oxygen and its sequel The Fifth Man a much greater degree of scientific credibility than most sci-fi you get out there. Yes they have PhDs, and don’t worry, they aren’t foaming-at-the-mouth creationists. John and I share a frustration with the Luddites of the evangelical community, and John’s been able to (tactfully) step out on to the public stage and point out to the ev. community “Hey folks, you know, those people with PhDs, they don’t get to just makes stuff up. They spend years and years trying to figure out the truth of something, and then they have to let other people pick at their results and find holes in their interpretations. If they say there are pretty certain about something, we should probably give some weight to their claims.” OK, that’s my wording, and yes, it sounds pretty obvious and OH how COULD “those people” NOT understand this already, but hey, baby steps. Let’s be happy when things move in the right direction. In any case, John writes exciting books. You ought to try one. I got to read a draft of Sharon Hinck’s The Restorer way back, maybe 7 years ago, while brushing up on my Swedish at the Uppsala International Summer Session (great program, by the way). When I finally got my hands on a copy of the book, maybe 2 years ago, I was surprised (and delighted) to see that my name was included in the acknowledgements section. Yes, I am TOTALLY famous. ;P Anyway, Sharon’s book is now available again in an expanded edition. I presume the other books in the series will be coming out again as well, but we’ll see. The book is a “through the looking-glass/wardrobe” fantasy, with a suburban mom getting dragged into another world where she has increased strength, healing, and senses, and must take up her sword as a “Restorer”, a figure pretty directly based on the judges from… well, from the book of Judges in the… um, “Old Testament” to Christians, but let me also say “Hebrew Scriptures” out of respect for my Jewish friends. The appropriation of the material of the Hebrew Scriptures/Old Testament in Evangelical Fantasy and Science Fiction is fascinating and problematic. I address it a little in my early post on Kathy’s Firebird, but we won’t worry about it for now. Sharon’s book is enjoyable in any case, and the world is fairly “thick”. It reminds me of another “through the X” Christian fantasy, Song of Fire by Joseph Bentz (whom I have also met, though his book has been out of print for around a decade, I think). These sorts of stories seem to be the norm in Christian fantasy, for some reason. Probably largely due to the influence of Narnia, but I think there is something else going on… but more on that another day. Another commonality across the books reviewed here, as well as others in the Christian/Evangelical market–lots of female protagonists who are thrown into a situation where they feel vulnerable, but must get it together and… well, learn to live and trust (for Firebird, who is expected to commit ritual suicide), save her crewmates while she is the only one conscious (Valkrye Jansson in Oxygen), or lead people in their fight against their oppressors/seducers (Restorer). Well, the primary buyers of Christian fiction are housewives, so I think it makes sense that we see this sort of “empowered yet vulnerable Cinderella” plot coming up again and again, especially in relatively escapist literature like this. Well, that’s it–no detailed analyses today, sorry. More book recommendations to come soon–science fiction, fantasy and Vikings. Maybe other stuff too. We’ll see.